Every customer likes special offers and deals. Of course, a special offer has a time limit and the question is how you will show the current due time of the special offer. That's where the module Sale Countdown appears in the nick of time. The countdown timer is an actual thing during holidays when you want to display how long the special offer will last. 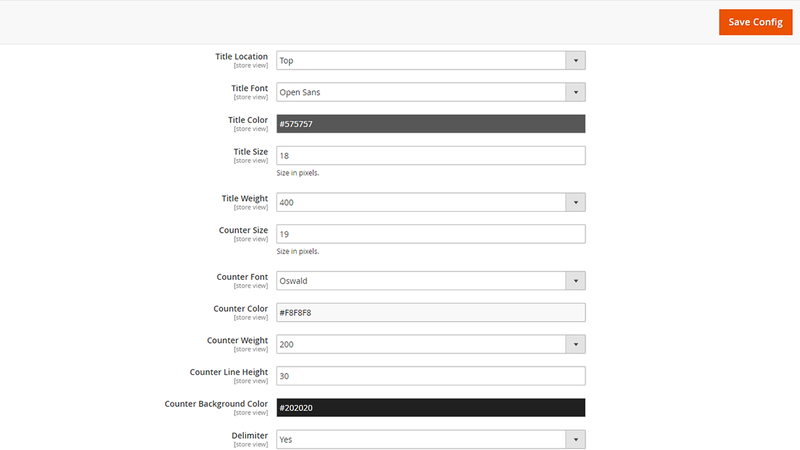 This module can create an attractive countdown timer just in a few clicks. 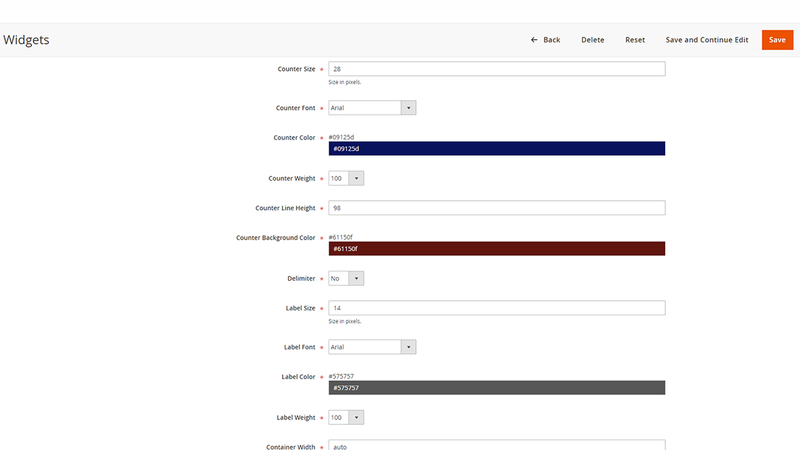 You can choose the type of timer, style, size, etc. 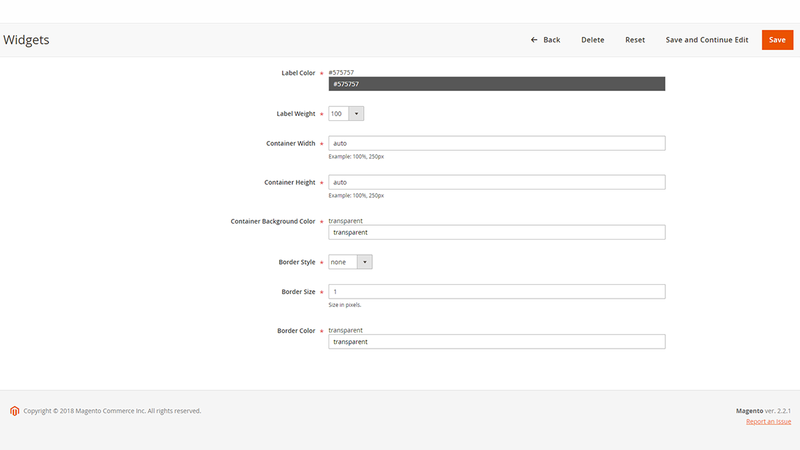 Just select the product from your store, apply all necessary settings and customize the view of the timer. 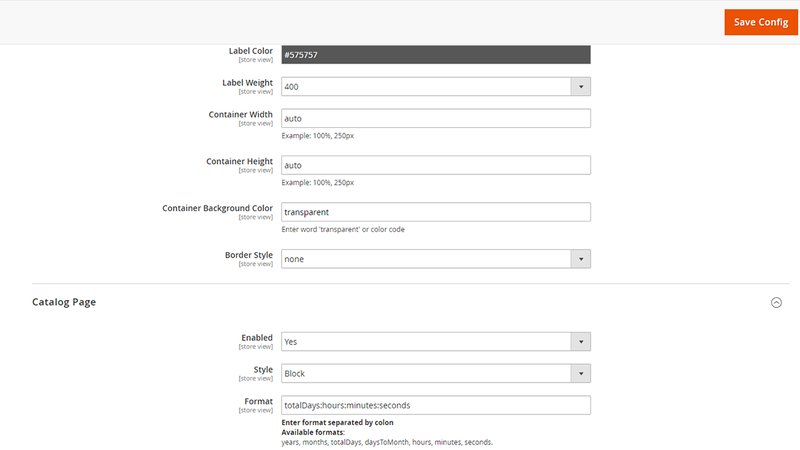 You can write a unique title of the timer, set up the title location, title font, title color, title size. 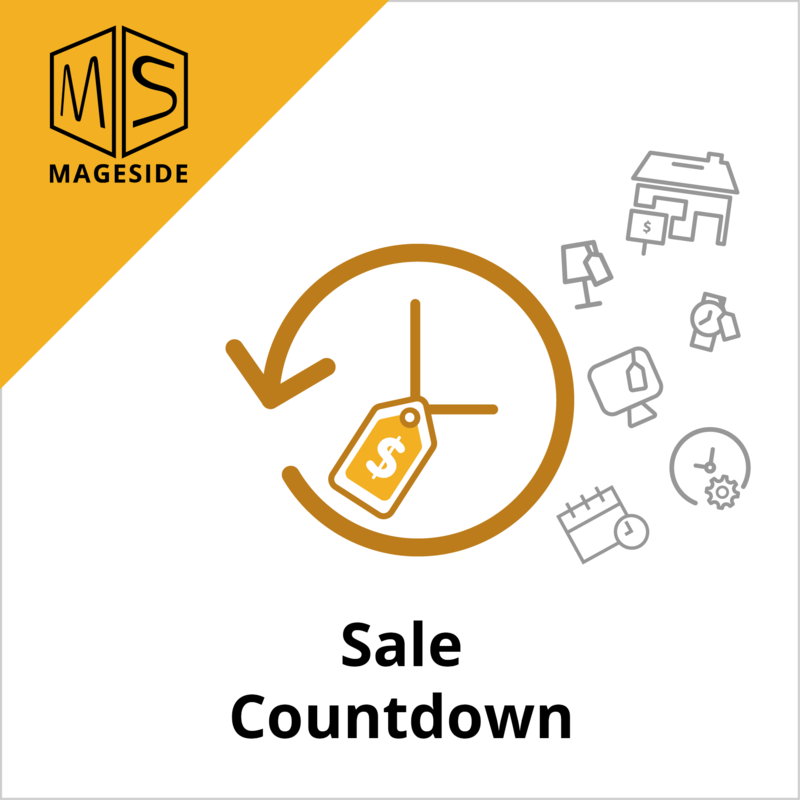 The module Sale Countdown can be used for sales, for promotions, and for other different purposes. 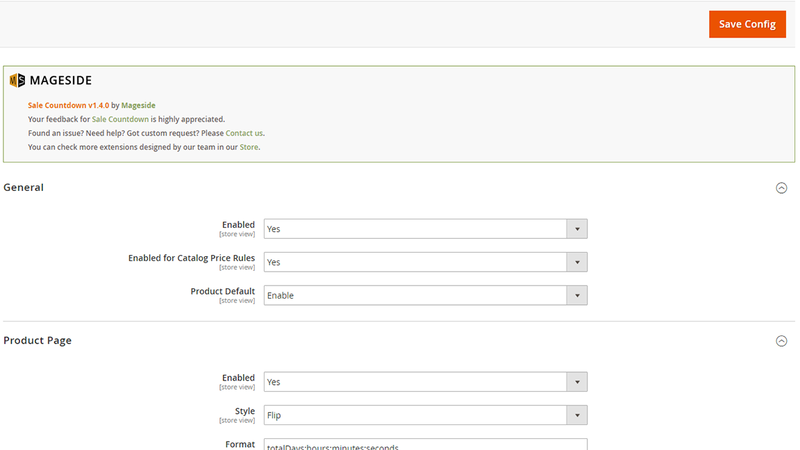 For example, place your timer on the product's page when you want to show your customers when the approaching sale ends. 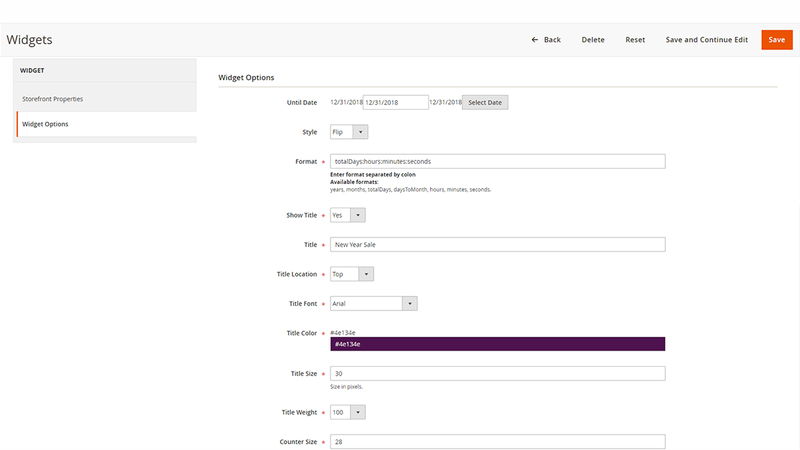 This extension allows you to manage the options with which one can enable or disable the countdown timer, change the title of the countdown timer, choose colors for all titles, choose a date when the countdown appears. 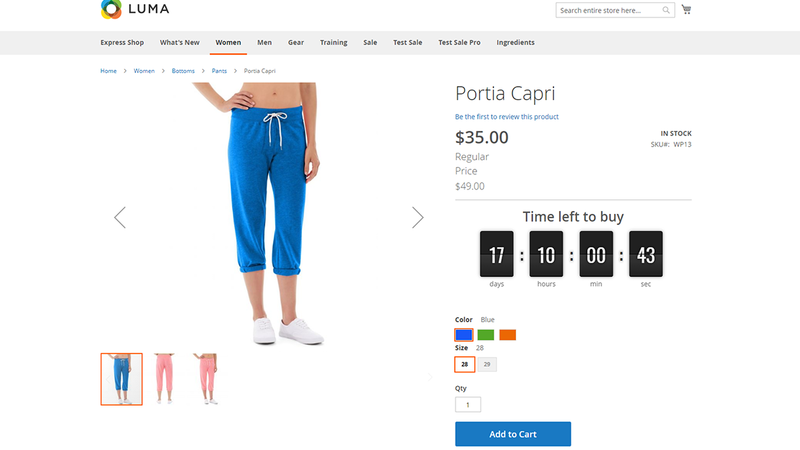 It is well-known that when a customer sees a sale countdown timer for a specific product, the sales will go faster. 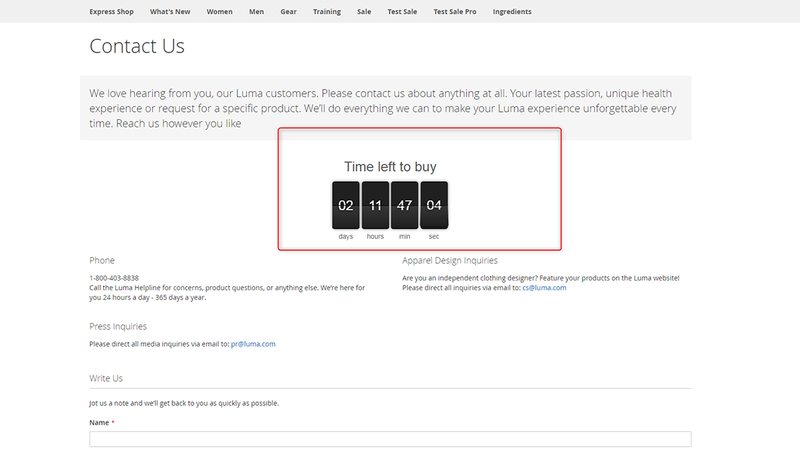 If it’s necessary you can create a countdown timer to all products in your store. It’s all up to you now. No limitations. You can choose a day, a week, a month when to show your countdown timer. It can be Christmas holidays, or store’s birthday, etc. 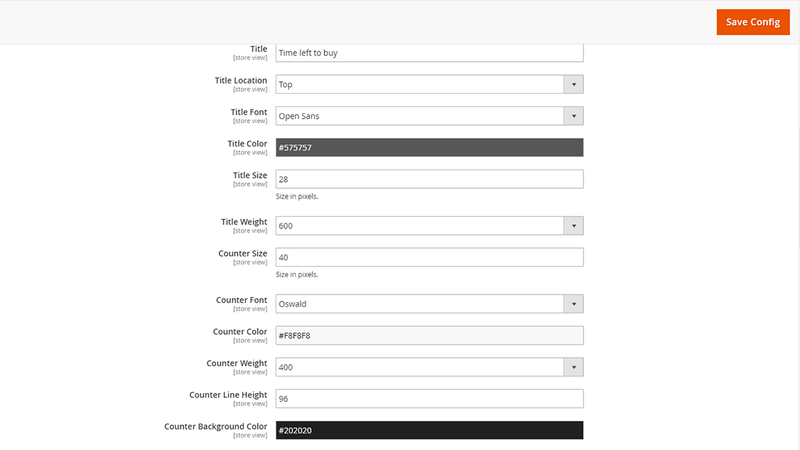 With the Sale Countdown extension you can create an attractive timer. 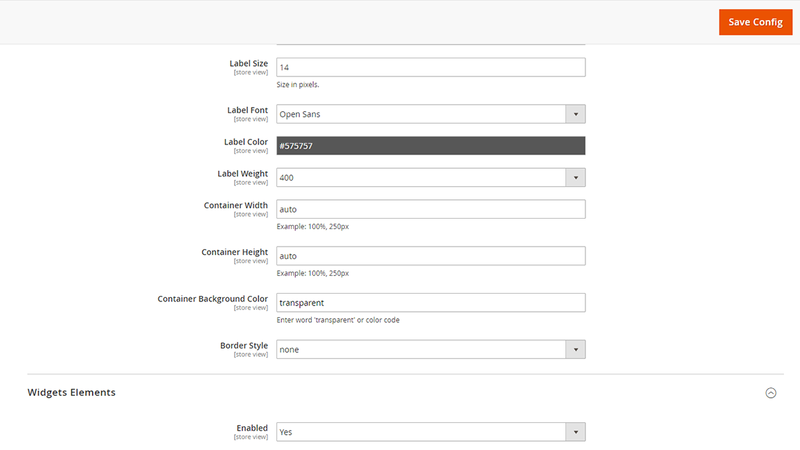 In the Configuration Panel you can change the color, title font, title size of your countdown timer. 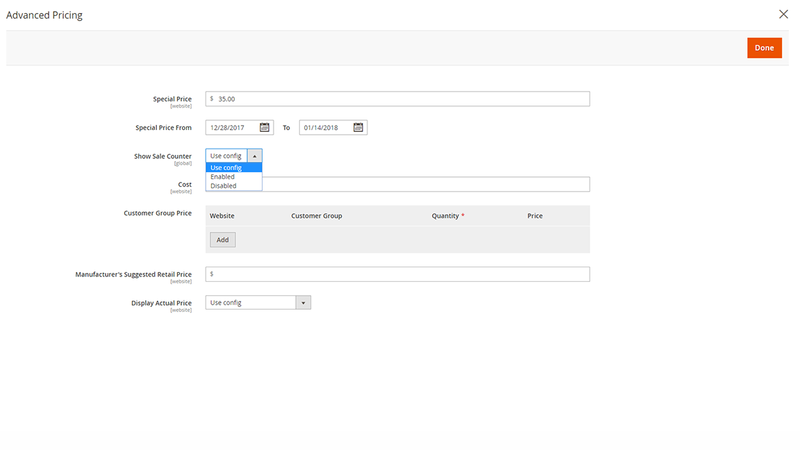 The extension Sale Countdown allows an admin to show the sale countdown timer on the category page. 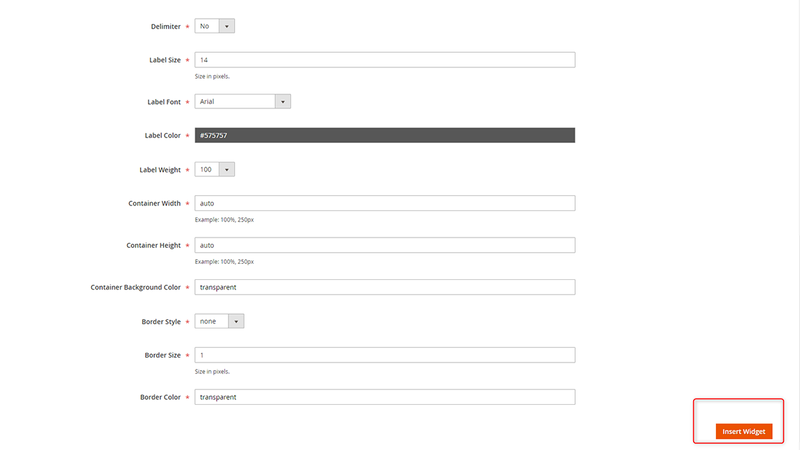 An admin can show the timer on the category page with the help of Widgets. 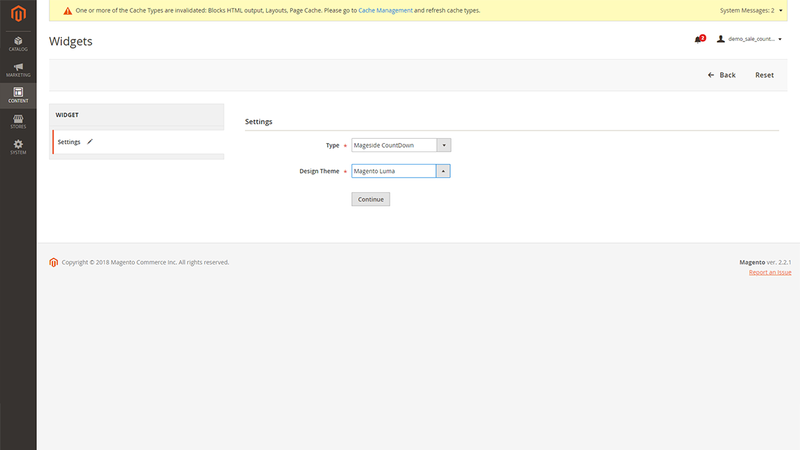 An admin can show the countdown timer right in the block with the help of widget. 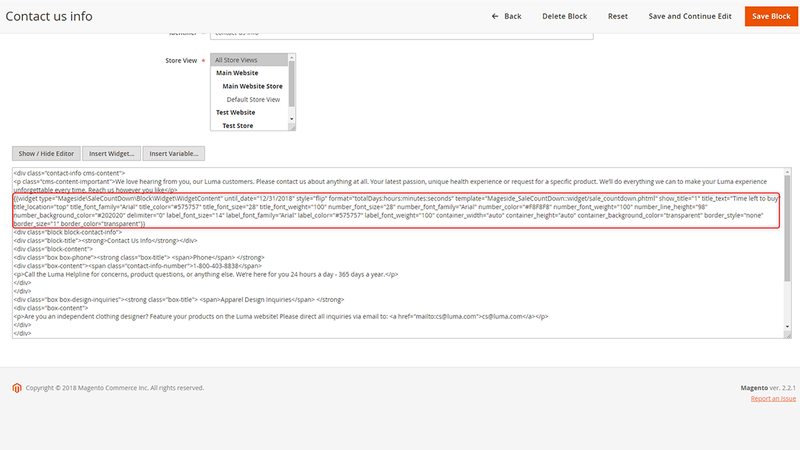 Just go to block settings and insert the countdown widget right to the block content and it will be shown on the frontend page. In case you need to show the sale countdown right on the home page, the extension Sale Countdown will definitely help you with that. 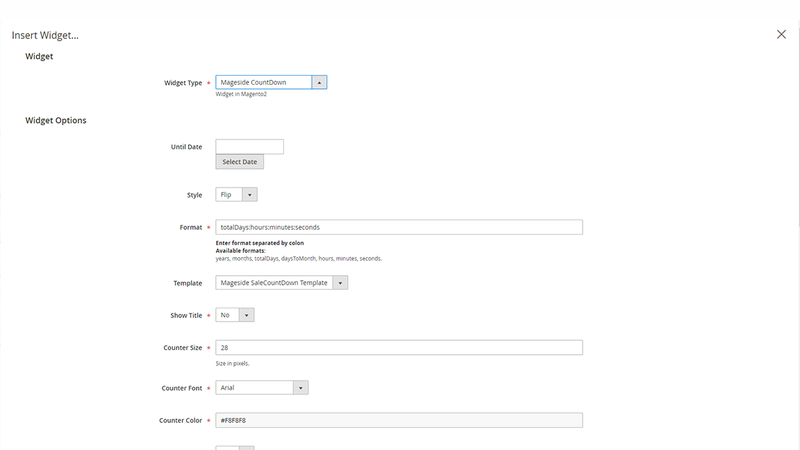 All you need to do is to go to page settings and insert the countdown widget right to the content of the page and the timer will be shown to the customer. 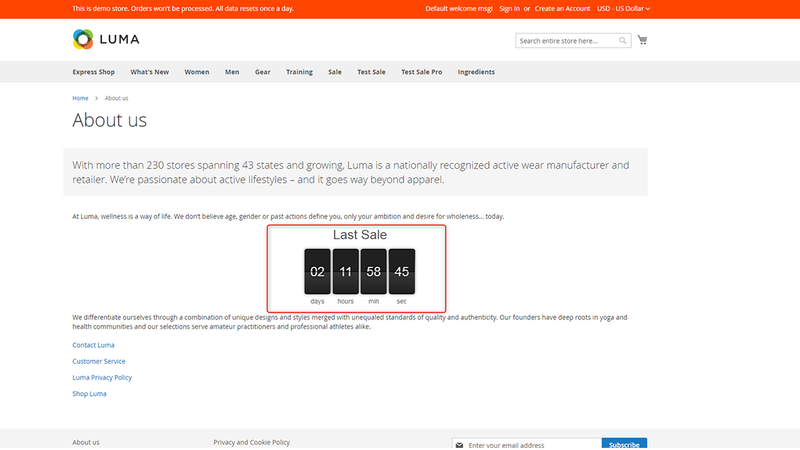 The Sale Countdown timer will show how many days, hours, minutes or seconds are left till the sale ends. 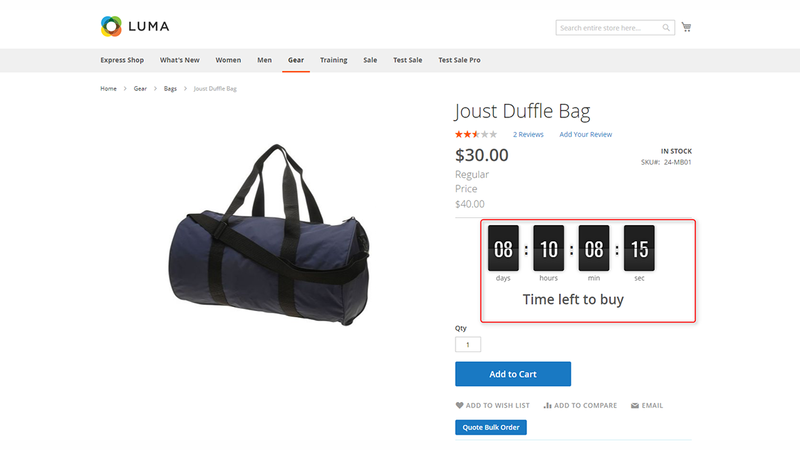 It’s up to you to set up the time limit for the sale of the product. In the settings of the Sale Countdown timer you can add a unique title for your timer. 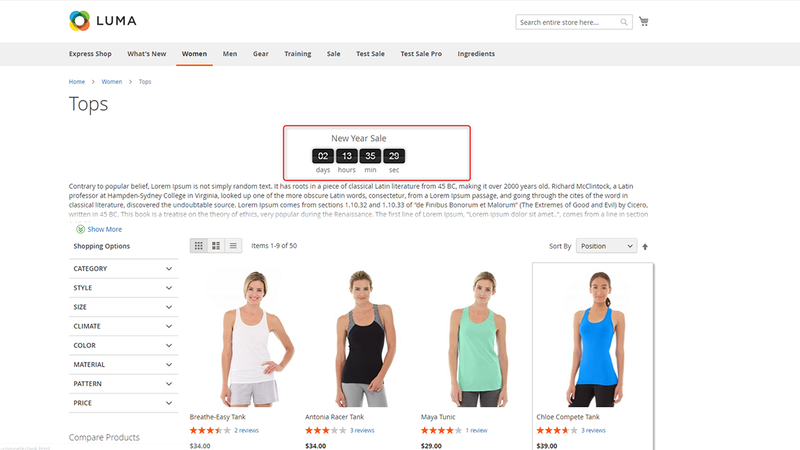 With the help of Sale Countdown timer it is clear for the customer what sale offers you have. 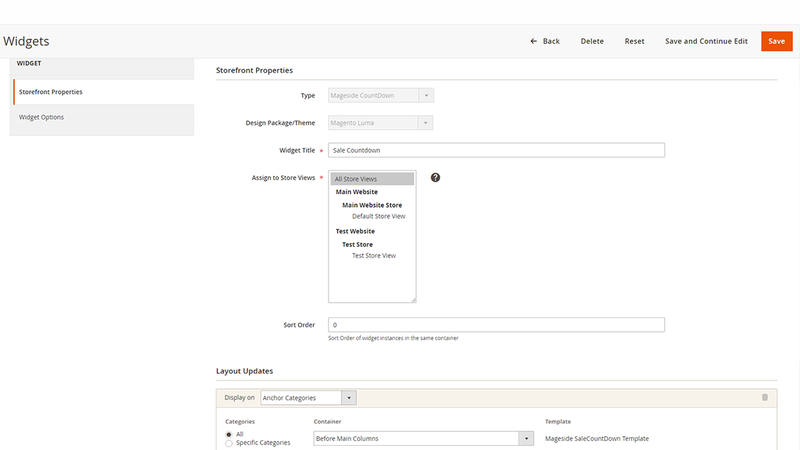 Use our module Sale Countdown and increase the sales in your store. The extension Sale Countdown will remind your customer how long one can purchase the products online. Good extension and fantastic support! 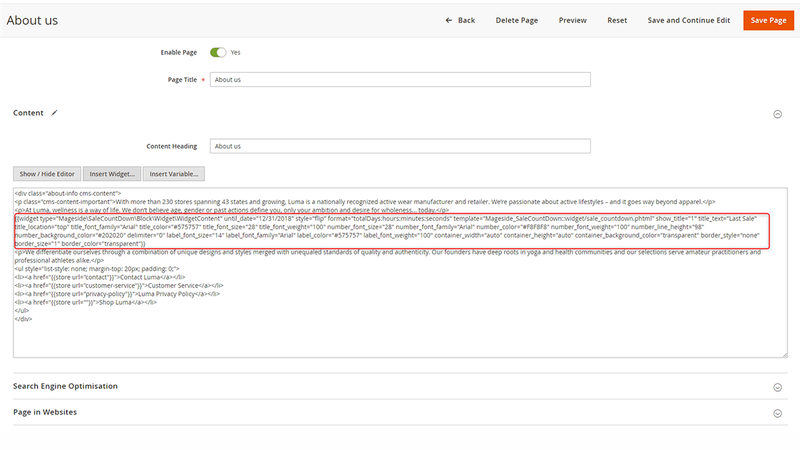 There was a conflict with my theme and the developer fix in a few hours.